What Should I Look for in a Quality Online Program? If you are considering earning your degree online you need to know how to choose a good online degree program from among the burgeoning number of schools offering them. The early days of online education saw many for-profit schools that offered worthless degrees to anyone who could pay the tuition. Today, brick-and- mortar colleges are adding online components in an attempt to marry their Internet versions to the well-known names of the traditional schools. New online institutions compete with the more established ones like University of Phoenix and Kaplan, and the competition is good for the field. How Widely Accepted are Online Degrees? Online post-secondary education is gaining respect among both educators and employers. According to a “U.S.News and World Report” article, 30 percent of American students take at least one online course. Traditional schools that do not offer entire degree programs online are seeing the advantage to blended learning, in which courses are offered online with a mandated period of classroom attendance. 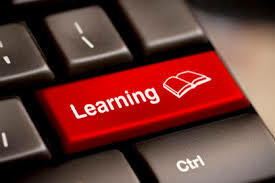 Degree programs that are entirely online are sometimes limited to those careers that do not require a hands-on internship or lab, but as schools see the value in moving toward online learning, they are coming up with ways to satisfy those hands-on requirements at diverse locations under approved supervision. How Do I Choose a Good Online Degree Program? The cost is often comparable with brick-and-mortar institutions, but many online degrees cost more than degrees from traditional schools. Although there are no room or board charges, there are other fees. Online programs require access to Internet service and to closed websites that could charge fees. Online degrees are gaining respect in most arenas. You need to think of yourself as a consumer, though, and do some comparative shopping. Not all online programs are worth the considerable money and time you will invest in your degree. The credential that higher education adds to your title needs to be one employers and peers view with respect. As a student, you are accustomed to “doing your homework” and that is just what is necessary to find a good online degree program.